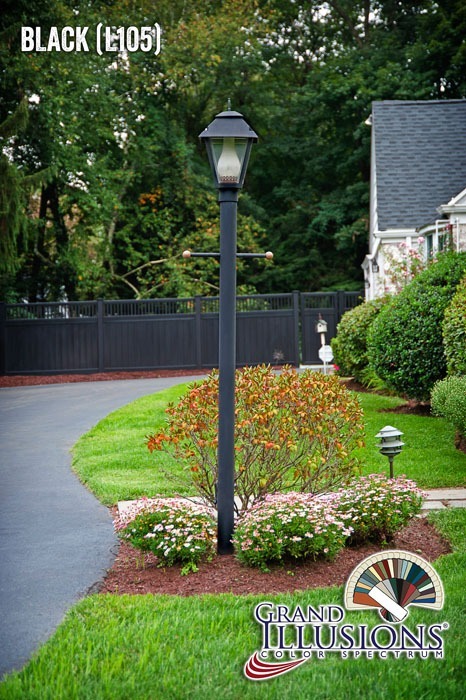 It’s no wonder that “black vinyl fence” is becoming one of the most searched new fence styles on the internet. For years, it’s been like the holy grail of the fence industry. 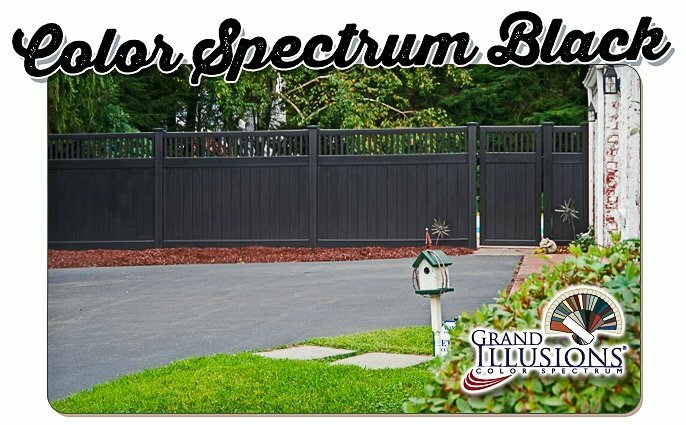 Now, thanks to Grand Illusions color and woodgrain vinyl fencing products, the holy grail is no longer a mystery! 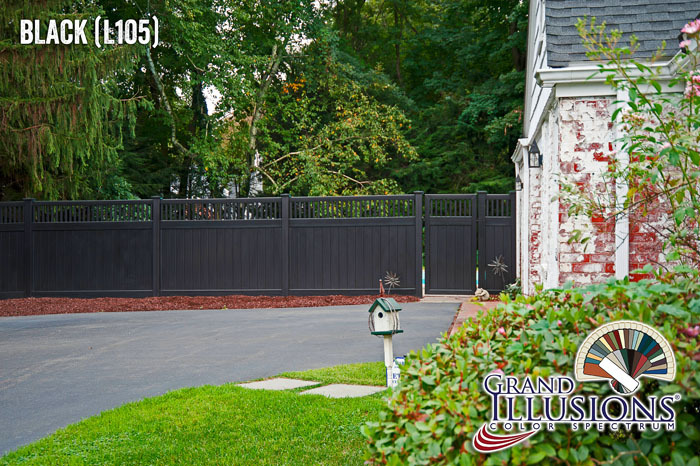 This is a beautiful install of Grand Illusions Color Spectrum Black (L105) in the popular V3701-6 Vinyl Privacy Fence with Framed Victorian Topper. Just the right amount of privacy, but you can see through when you need to. Every day, homeowners across the USA and beyond are wondering if they make a fence that has the look of a nice black painted fence, but the no-maintenance convenience of vinyl. Well folks, you asked for it, you got it. 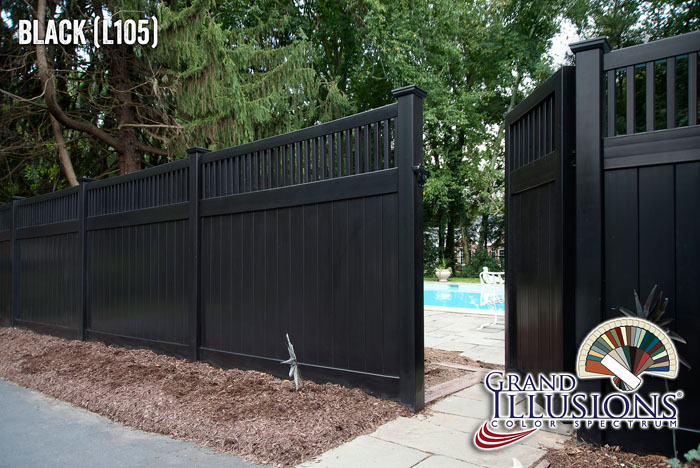 Looking for black fencing to blend into the perimeter of your back yard? 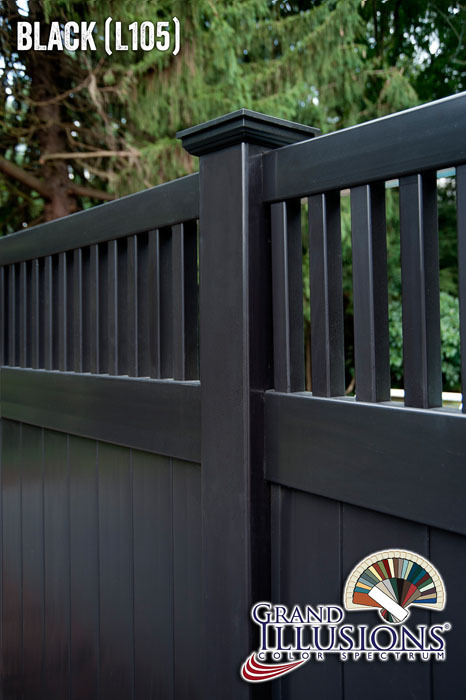 Looking for fence panels that go with black accents? 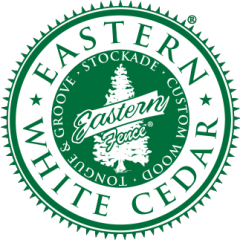 Looking for vinyl fencing products that work great with historical as well as contemporary installations? Illusions Vinyl Fence is the answer. Every time. As you can see, this is a beautiful historic white house with black shutters. 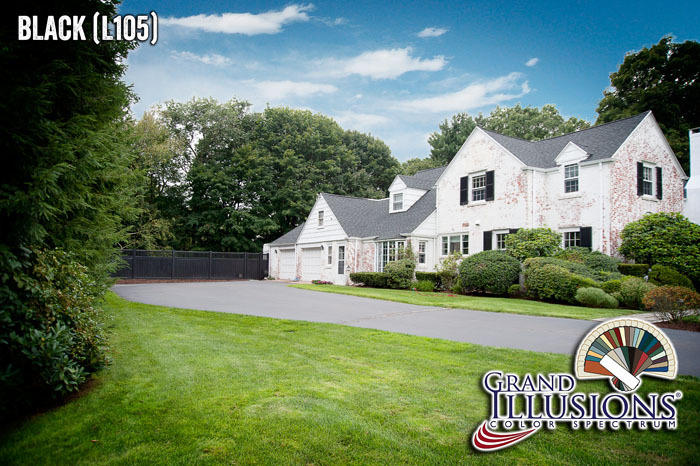 The look of the property is subtly and appropriately enhanced by the Grand Illusions Color Spectrum Black fence with matching black vinyl fence gates. 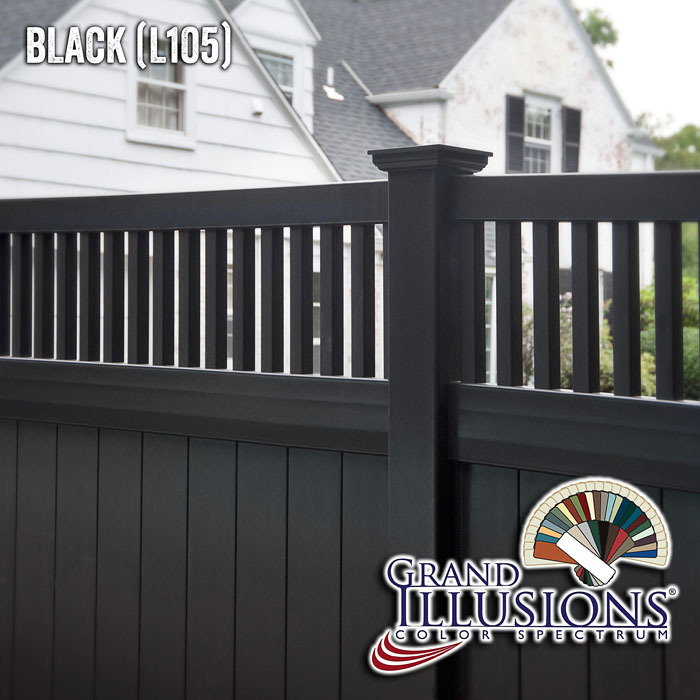 This fence and black color goes great with almost any outdoor living space.